Michael presents an interesting business proposal to Christina and she accepts. Now they are bound by contract for a long time. Will they make it? I was just thinking of this story the other day! Sorry for disappearing since I last reviewed. Life = cluster. She is such an idiot to keep meeting Jared. I can't fault Michael for being so resentful and angry. Girl, I had been following this. So happy to see you back into writing! Thanks! I had written 9 more chapters, but totally forgot about posting on this site! I'll be posting one new chapter a day. Hopefully by then I'll have another finished too! Flo and Michael both share the same problem. Thanksgiving is coming up and their folks are expecting them to bring a date home. They make a deal that they'll pretend to be in love for thanksgiving break. But in reality they hate each other. What will happens when the act starts to become reality for Flo? Just started reading. I'd wanted to read more of your stuff, but generally don't like AU. 9 chapters in and I'm hooked. You now officially have 3 stories I'm going to be bugging you to update. & I apologize in advance. Author's Response: Well first off hola! Lol thank you for giving my stories a chance and for giving genuine criticism it's always appreciated. Characters: I like the creative liberties you took with Michael's history. I think the abuse fit in and the development of the turmoil within the family felt natural. I also like how you kept the J5 in there despite it being a more AU story. And his character? I could see him like that IRL. I loved Flo's nerdiness. Casey was pregnancy at a whole new level of hormonal madness. Same for Rebecca in terms of Bridezilla madness. Brittany...reminds me of a friend of mine. Eerily so. Creepy! The only dynamic I didn't really get was in the work setting. Plot: The unfolding of Flo and Michael's relationship was very sweet. When he put his hand on her leg, I knew this story was a keeper. I liked the work stuff until the boss' death. I got the drama in the apartment, but the death/murder could have been a whole story unto itself. And the Paige, twist? Max twist? Girl, you had enough drama for at least three stories. Writing: Girl, you are funny! I like your writing style. I also liked when you took Michael's POV. Those were my favorite parts. I think breaks between scene changes would have helped. I had a little trouble tracking at times. However, that stuff can easily be addressed. You've got what a lot of writers do not have - fluidity and attitude. You can't really teach those! Author's Response: I agree with everything you're saying. When I wrote this story I was really experimenting with plot development and at the time all of my stories were all over the place lol. I love this story dearly but it got a bit ridiculous at times. Thank you for your review and for your others as well. I'm still in love with this story. So many questions remain that I want answers to! What's gonna happen with the ring? What's the deal with the money that was delivered to Eli? What did Tatiana whisper to Michael? What's up with Yahara eating more lately? What does the key open? Please say that we'll be getting some of these answers from your creative mind, soon?! You will hun patience is a virtue lol I try not to rush this story I want each chapter to be thought out and written carefully. But I will be updating just wait on it. Cameron Jameson has worked for Michael as his assistant for two years. They had grown close whether she wanted them to or not. Many aren't able to see Michael when he's truly himself. She's one of the only people who knows Michael in and out. From his womanizing ways to his occasional partying. But what happens when she's his next target? Chilling. Thank you for another great update! Woah. What a dark Michael. I don't believe he is going to change....I'd want him to, but it would have to be a huge change and those are rarely lasting. Also - thank YOU for updating! After two and a half years of going to school in Los Angeles, Honey finally finds the man of her dreams, only to discover that his family are the in-law's of her nightmares. Certain members of the Jackson clan don't feel like Honey fits into their world and are determined to scare off Michael's new fiance by becoming the world's worst in laws. While Michael's best friend, Liv, tries to make a play for her man, Honey decides to fight back and the gloves come completely OFF as she battles it out with music's first family. With bride wars going on, will Honey and Michael make it down the aisle?? The comparison of Blaise to Eddie Murphy was ...and the flirting? I swooned. 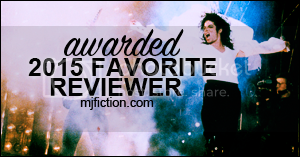 Please come back to MJFiction. I can already tell that I'll be wanting more of this story by the time I hit the end. Thus far, this is publishable. I hope they see eachother at the party. He has some explaining to do. Felicia is a 20 year old, small town girl with big city dreams. Taking a huge chance, she moves to California trying to get her big break. 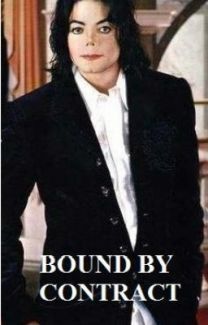 But a chance encounter with 22 year old Michael Jackson was not something she ever counted on. Together they embark on a journey filled with laughs, tears, friendship, love and passion. In the end, they come to understand that love, indeed conquers all and is eternal. Like she has to ask?! Author's Response: Wow! I don't know how I missed this review. I didn't know anyone was still reading this story! lol Welcome to my story! They love you. They just want to help you. They want you to be happy. Whatever the reason, let's call a spade a spade. Matchmaking is meddling. And, even though they have the best intentions, it never goes as planned. But what happens when the friend you're trying to help just happens to be the most famous man in the world? Also the shyest and most awkward. Well, you'll have to read to find out. Now this is one story that I wish was much longer. You are a wonderful writer and I love how this story was a little different than the typical one. Author's Response: Thanks so much! I was actually surprised when I got the notification that there was a new review. Make sure to check out some of my other stories.